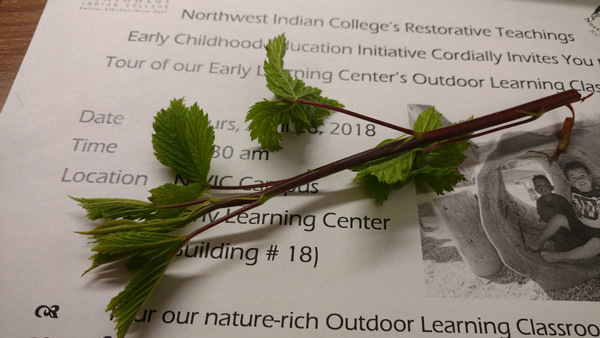 A gathering for Northwest Indian College’s Restorative Teachings Early Childhood Education Initiative recently took place at our Early Learning Center. 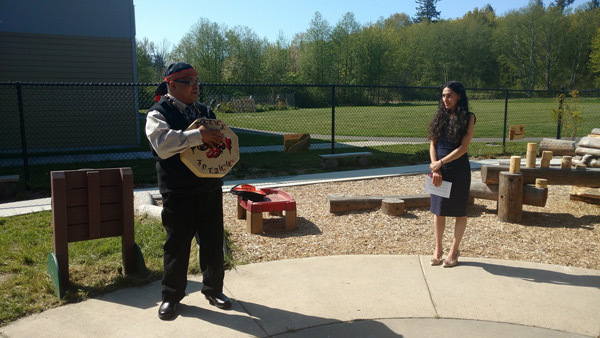 Joined by aunties, uncles, grandparents, elders, close friends, and children, we celebrated the completion of our Outdoor Learning Classroom. 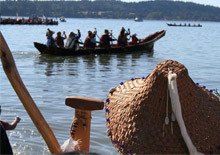 While listening to the Eagle Blessing Song, a song that comes from the water, alongside the beating of a drum, a child looks with intention and focus. 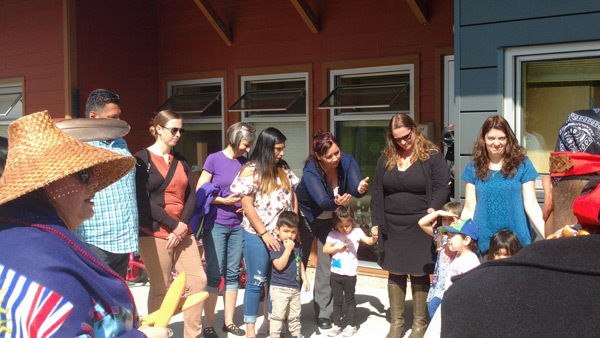 That itself is demonstrative of the Restorative Teachings ECE Initiative, promoting meaningful and relevant early learning experiences and provoking further discussions of Indigenous peoples and our ways of life. 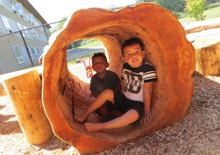 Featuring a story pole, orca carving, and Lummi language cedar plaques designating the different play and learning areas, our Outdoor Learning Classroom embraces the natural elements by which we are surrounded here in the Lummi Nation. 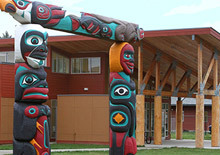 We intentionally designed this space to foster children’s active exploration of their outside environment while learning about Coast Salish ways of life. While in the Outdoor Learning Classroom, early childhood educators engage children in experiential education, thus supporting their learning, growth, and development in a holistic way. How blessed we are as teachers and administrators to be able to experience this nature-rich play-scape with young Native children in our care. The extension of the classroom curriculum to an Outdoor Learning Classroom keeps children and teachers deeply engaged in the teachings and increases our awareness of ways in which we can learn from natural elements. For it is the world around us that grounds us and enables us to truly identify with our inner selves. Moreover, our Outdoor Learning Classroom environment helps to foster this healthy curiosity about the world in young children. 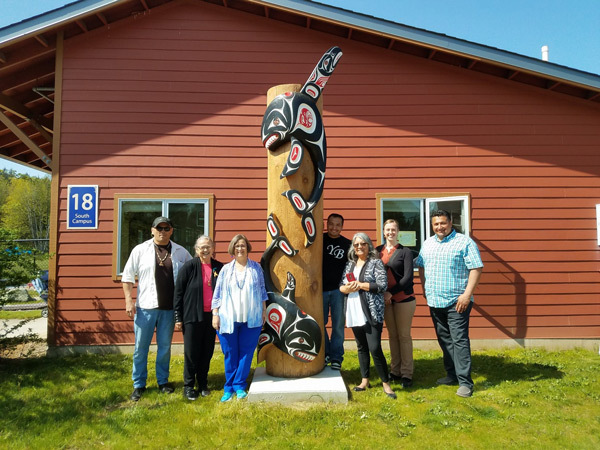 Today, we celebrated with a group of individuals who share not only a vision of connecting early learning experiences to community and to place, but also, who share a respect for how we envision learning, as Indigenous peoples.